In 2017, I filled out the applications of various top business schools in India like thousands of other candidates before appearing for various entrance exams. This is when my first contact with SPJIMR took place. Unlike other business schools, SPJIMR wanted to capture the entirety of me in that form. Beyond the standard questions about my general details, academic records and work experiences, the form had questions about my life experiences and who I am as a person. Filling out that form was a great experience since it made me relive many stories from my past which I had forgotten about. After a month or so, I got a profile-based call from SPJIMR. It was really encouraging to know that a premiere institute is interested in me even before the results of the entrance exams are out. 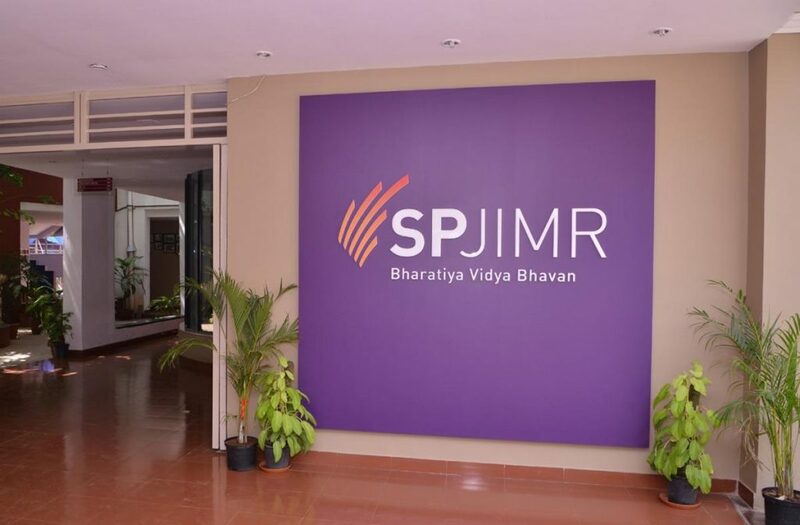 It was a manifestation of SPJIMR’s philosophy for selecting individuals over percentiles. This philosophy was again to be seen in the questions posed to me during the two rounds of interviews I gave in Mumbai. I greatly appreciated this philosophy. SPJIMR conducts its interview in two rounds. Each round is a group interview with 4-5 candidates taking part in it. The first round of group interview focusses mainly on the candidate’s profile i.e. academics, work experience and future career aspirations. This round is eliminative in nature and the results are declared within an hour after the round. The second round is centred around who the candidate is as a person. The selection process also has a psychometric test and a written ability test which takes place before the first group interview. The biggest thing which set apart SPJIMR for me was the concept of specialization. Each PGDM student is selected for one of the four specialization namely Marketing, Finance, Information Management and Operations & Supply Chain. I was interested in making a career in marketing and therefore wanted to study in-depth about it. SPJIMR gave me the option to do so. However, this didn’t imply that the other specializations were to be ignored. Every student follows a common curriculum in the first year where the basics of all specialization are taught. This makes one a ‘Jack of all trades, master of one’. The other interesting features of the PGDM curriculum which attracted me were Global Fast Track (GFT) programme, Abhyudaya and Development of Corporate Citizenship (DOCC). GFT is a three-week program where the PGDM students attend classes in a top American business school based on their specialization. Abhyudaya is a year-long program where each PGDM student is assigned a ‘Sitara’ to mentor. A ‘Sitara’ is a bright and promising school student from a humble household in Mumbai. Every PGDM student is supposed to visit his/her mentee’s home for a fixed number of times to mentor the ‘Sitara’ in domains such as general awareness, communications skills or digital literacy through interactive sessions. DOCC is a course in which the PGDM students take up a project in rural India to develop social sensitivity and unstructured problem-solving skills. As someone who wants to be a marketeer, it is necessary for me to understand people from various classes and societies. Therefore, these facets lured me towards SPJIMR. Finally, the chance of living in the dynamic city of Mumbai with its rich heritage and multitudes of opportunities, acted as a cherry on top, making SPJIMR the most ideal place for me.